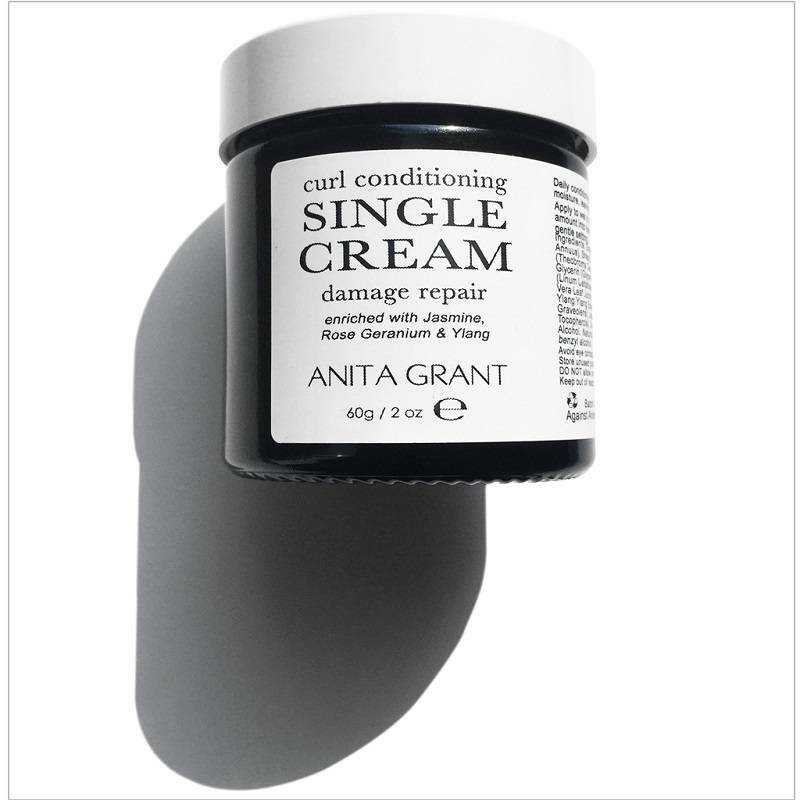 With a pH of 4.5 - 5.5 Damage and Repair Curl Conditioning Single Cream from Anita Grant is a water-based daily leave-in conditioner that smooths and softens hair. Moisturises new growth nourishes dry ends, significantly reduces frizz and unwanted waves. 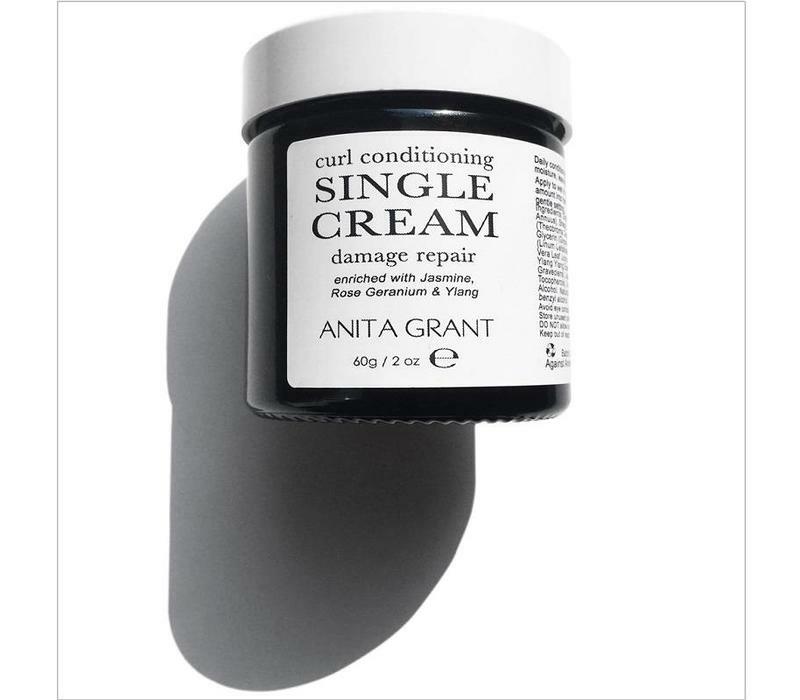 Help to prevent flyaways and is excellent for those transitioning from relaxed to natural hair. Rose Geranium Essential Oil - repairs damaged hair and strengthens follicles. Ylang Ylang Essential Oil - a scalp stimulant to encourage healthy hair growth. Vitamins A, E, K and F found in Unrefined Shea Butter. Omega 3 and 6 fatty acids - purported to stimulate healthy hair growth. Aloe Vera to condition the scalp and restore softness. INGREDIENTS: Distilled Water (Aqua), Sunflower Seed Oil (Helianthus Annuus), Shea Butter (Butyrospermum Parkii), Unrefined Cocoa Butter (Theobroma Cacao), Glyceryl Stearate, Cetearyl Alcohol, Vegetable Glycerin (Glycerin), Extra Virgin Olive Oil (Olea Europaea), Flaxseed Oil (Linum Usitatissimum), Sucrose Stearate, Sodium Stearoyl Glutamate, Aloe Vera Leaf Juice (Aloe Barbadensis), Coco Glucoside, Coconut Alcohol, Ylang Ylang Essential Oil (Cananga Odorata), Rose Geranium (Pelargonium Graveolens), Jasmine Absolute (Jasminum Grandiforum), Vitamin E (Mixed Tocopherols), Xanthan Gum, Lactic Acid, Dehydroacetic Acid, Benzyl Alcohol. Natural constituents of essential oils: linalool, linalyl acetate, limonene, eugenol, benzyl alcohol. 100% of the total ingredients are from a natural origin. 100% natural and 100% free of artificial fragrances and colourants.